Backbenchers took charge of the Brexit impasse in parliament again tonight as the cabinet abstained from voting in indicative votes they tried in vain to stop. This time they came closer than ever to breakthrough with a majority of MPs narrowly failing to coalesce around one was forward for Brexit. In a dramatic and historic night in parliament, Ken Clarke said politics dictated that the motions should be put together after his motion was defeated by just three votes. The Conservative Father of the House said MPs had pinned their colours to one motion and not another when the motions could have been incorporated to achieve a consensus. 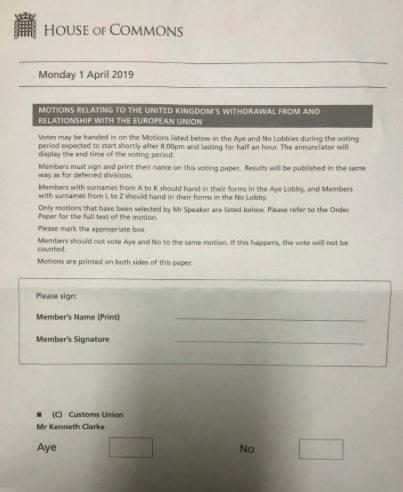 Clarke’s motion for a Brexit compromise where membership of the customs union would continue was defeated by just three votes, and a motion to put any Brexit deal to a confirmatory public vote for the final say was defeated by just 12 votes. Tory MP Nick Boles dramatically resigned his Conservative whip after the results were read out, saying he was disgusted at how his party had blocked a way forward to be found in parliament. 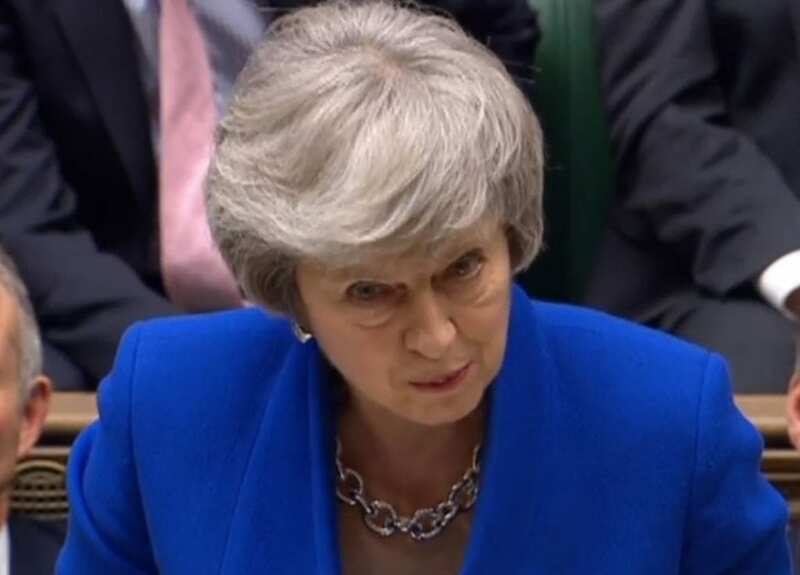 The Government were earlier defeated in their attempt to block the votes today 322 to 277, with a majority of 45, in a telling show of May’s waning power over the House of Commons. Indicative votes are not binding on the government and Theresa May has spelt that out. Though she admitted last week that we are reaching the limits of the process in parliament. 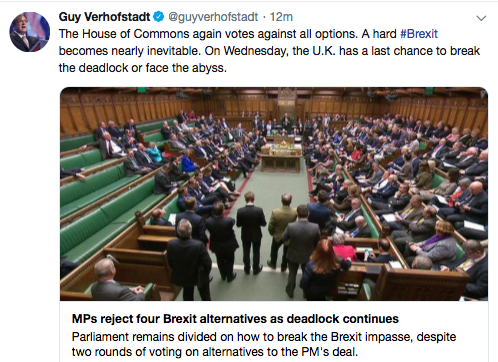 But indicative votes are a way of breaking the Brexit deadlock by finding a way forward that the majority of MPs would support. 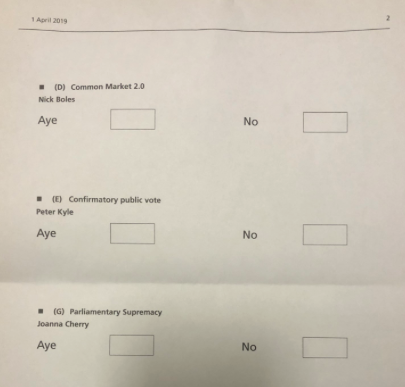 In last week’s indicative vote on March 27, none of the eight votes got a full majority either, but neither did the PM’s ‘meaningful vote’ on her withdrawal deal. House of Commons speaker John Bercow decided which MPs would be able to vote on today, whittling down the options to four. What were the motions in tonight’s indicative votes? This week MPs were even more narrowly defeated, voting 273 to 276. This week MP’s voted 261 to 282 against the proposition. This proved the most popular option last week among MPs, with 268 MPs voted for, 295 against. This week the motion was defeated narrowly, 280 to 292. 191 MPs voted for, 292 against tonight. 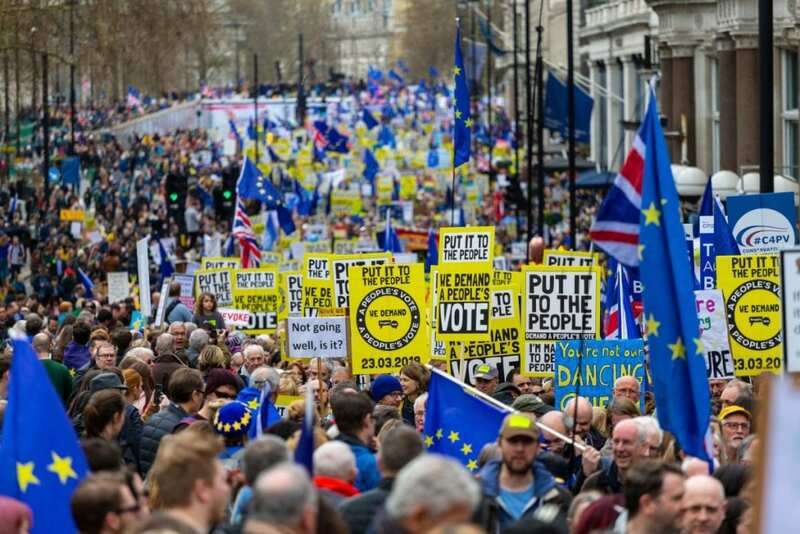 Previous PostWhat and when are the Brexit indicative votes and what do they mean?